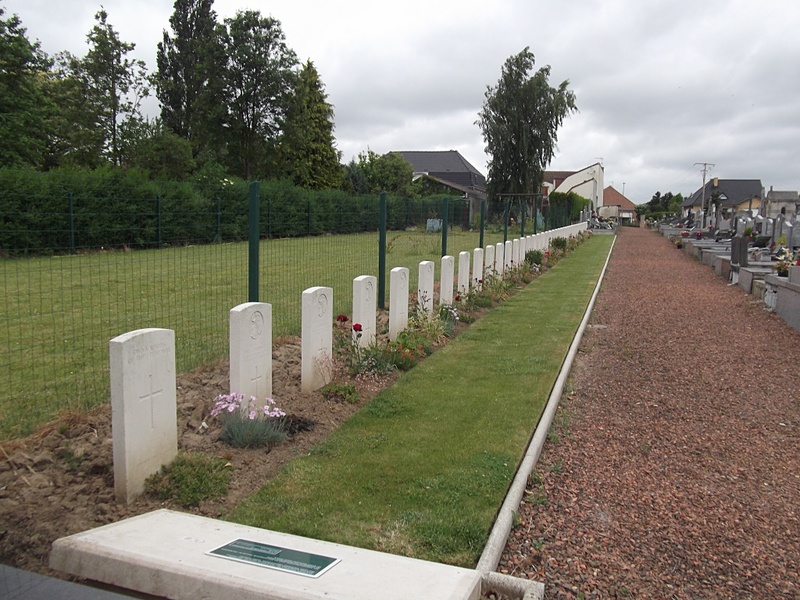 Hinges is a village and commune in the Pas-de-Calais some 5 kilometres north-west of Bethune. 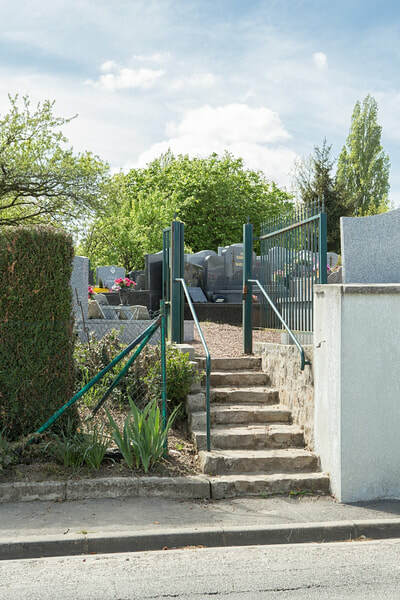 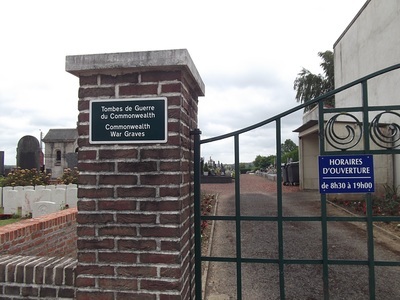 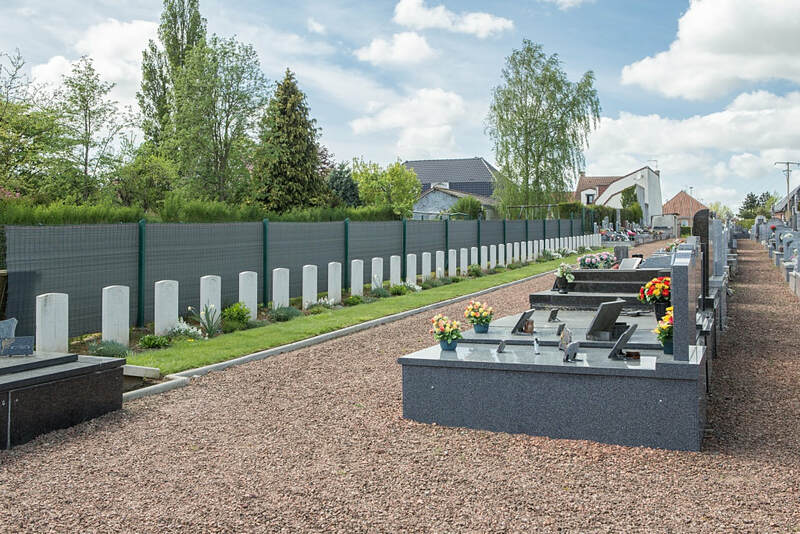 The Communal Cemetery is on the southern side of the village adjoining the Hinges Military Cemetery, a British 1914-1918 War Cemetery. From the church in Hinges head south west on the Rue de Bethune. 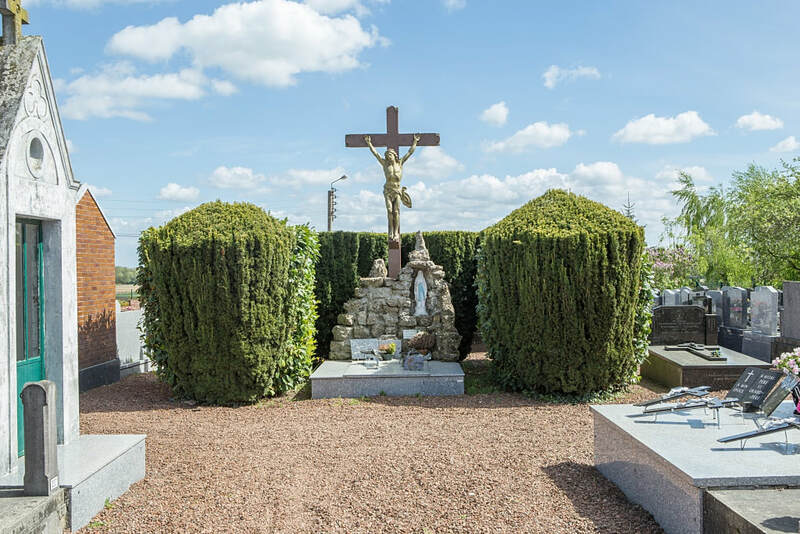 The Military Cemetery is 400 metres from the church on the left hand side. The communal burials are behind the Military Cemetery. 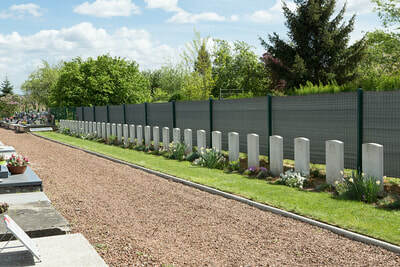 Hinges, used as a Divisional Headquarters and for rest billets during the 1914-1918 War, was the scene of a stiff local action in May 1940, when the British Expeditionary Force were fighting their way to Dunkirk. 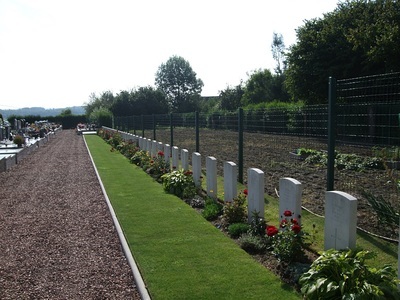 There are now a small number of 1914-18 and 40, 1939-45 war casualties commemorated in this site. 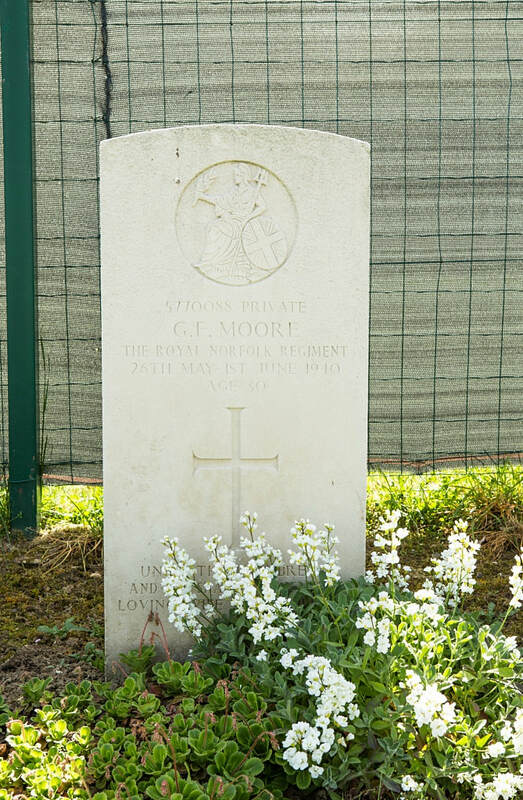 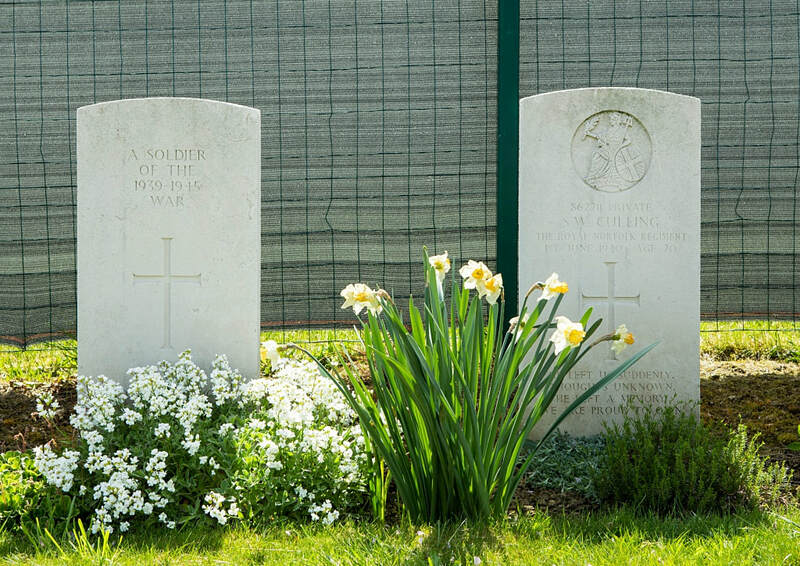 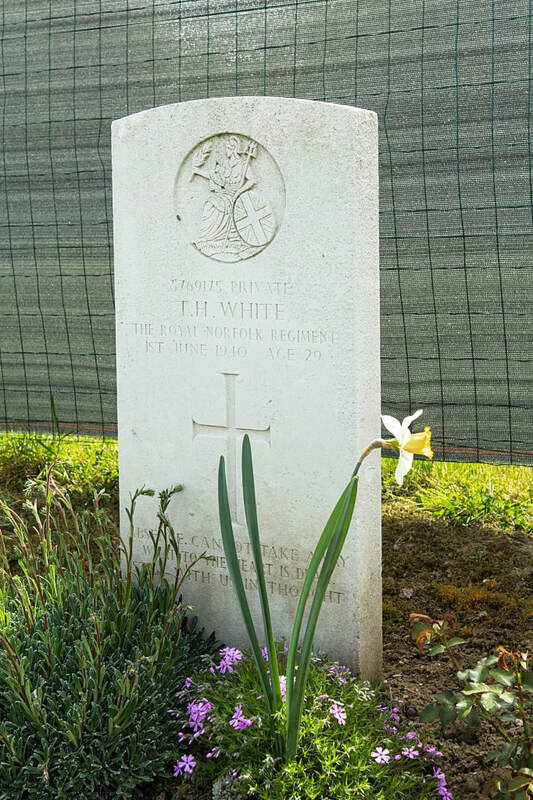 The two unidentified soldiers from the 1914-18 War, are buried in a joint grave and found a few years ago by a workman excavating the nearby canal.